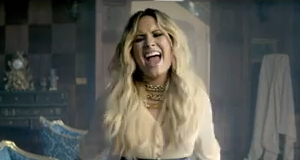 Watch brand new Demi Lovato video Let It Go for new Disney animated film Frozen! 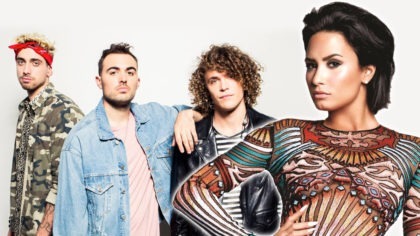 If we were allowed to strap a popstar to the top of a Christmas tree, one of our top choices would definitely be Demi Lovato. She’s an awesome singer, writes catchy tunes and she’s definitely a bigger star than you’ll get in the Tesco Christmas decorations section. Unluckily, we’re not allowed to strap popstars to Christmas trees…anymore. 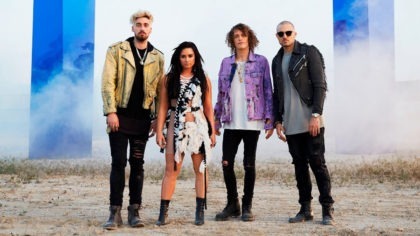 But we do still love Demi and we’re huge fans of her new video! It’s for her song ‘Let It Go’ which is from the soundtrack of the new animated Disney Christmas film – Frozen. So it’s full of clips from the new movie as well as some moody looking shots of Demi. What did you think of Demi in Disney Princess mode? Let us know in the comment box below. Also, the film’s out on 6th December. If you want to see it, the trailer’s below!